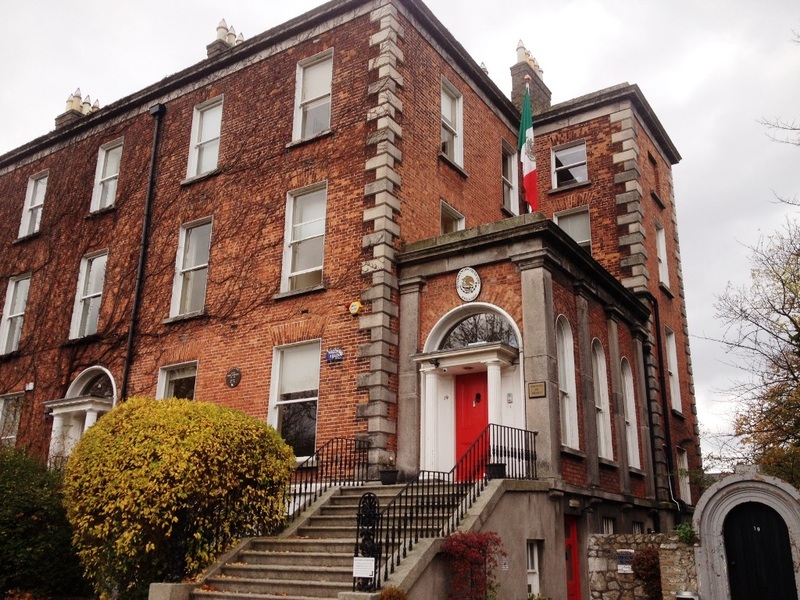 DUBLIN, IRELAND – While I was in the UK in May, I visited the Mexican embassy in London. The visit was revealing (and if you missed it, you can read about it here). Finding myself in Ireland at the end of October, I decided to visit the counterpart in Dublin, to learn about the diplomatic connections between Ireland and Mexico, and the services provided by the mission. 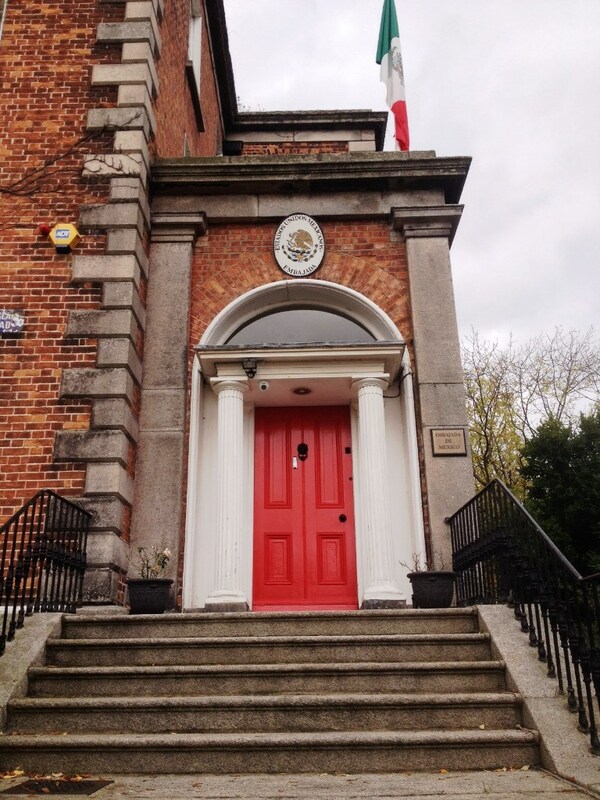 As in London, the embassy in Dublin was a fairly informal affair; in fact, the Deputy Head of the mission, Enrique Palos, with whom I had made my appointment, opened the door himself when I rang the doorbell. I quickly learned that it’s a small operation; the ambassador is supported by 2 diplomats, 2 administrative staff, and 5 support staff, for a grand total of 10 people. The mission provides the usual range of consular services to Mexicans living in Ireland, and assistance for other nationalities planning travel to Mexico. 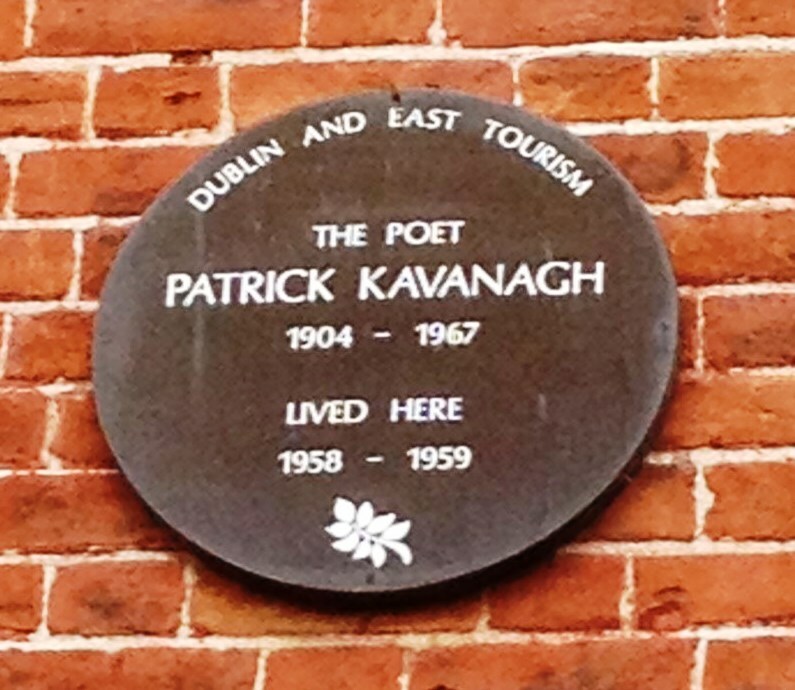 The building itself is a historic landmark on the Dublin Tourism trail, and was the residence of poet Patrick Kavanagh in the 1950s. There are around 1700 Mexicans living in Ireland who are registered with the embassy, and estimated to be approximately 2000 in total when taking into account those who have not registered themselves. They are primarily students, in the country for a limited period of a year or two, chiefly studying English. I inquired why Mexican students pick Ireland for their studies, rather than the more ‘obvious’ choices of the USA or UK. Historically, I learned, Ireland was always a top choice due to its more ‘conservative’ culture; both countries were (and continue to be) heavily Catholic, and parents considered Ireland a ‘safer’ and more suitable destination for their children than the rather more liberal options of the USA and UK. Nowadays, there is a lot of family tradition; parents or older siblings went to Ireland, therefore their children (or younger siblings) continue to do so. The trade connection between the two countries is important; in fact, Mexico is by far Ireland’s largest Latin American trade partner. Just over a year ago, Irish President Michael D. Higgins met Mexican President Enrique Peña Nieto in Mexico City, where the two signed seven bilateral agreements creating jobs and investment in Ireland as well as promoting third level exchanges. Irish investment in Mexico is already well established, for example Mexican airline VivaAerobus is partly Irish owned. I was surprised to learn that the two countries have enjoyed formal diplomatic relations for a relatively short period; in fact, 2015 will be the 40th anniversary of the establishment of formal links between the countries, and to mark this milestone, a program of special events will take place in Ireland and Mexico. Among other events in Ireland, a gala concert featuring Alondra de la Parra will take place in Dublin, to which President Michael D. Higgins has been invited. The Mexican naval sailing vessel Cuauhtémoc will make a return visit to Ireland; another concert will feature flautist Horacio Franco, and a folkloric ballet by the University of Guadalajara will also be performed. The 40th anniversary celebrations will be officially launched with a joint communique on 21st January. Mexican tourism promotion in Ireland is currently handled by the Visit Mexico office in London, however as a percentage of total population who have visited Mexico, Ireland stands a surprising 4th in the world, especially impressive since there are no flights between the two countries, with all journeys requiring an aircraft change in London, elsewhere in Europe, the USA, or Canada.